British engineering is recognised throughout the world for ground breaking innovative design and ingenuity. 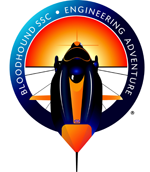 We are honoured to be involved in one of the most prestigious engineering adventures currently taking place in the world today, The Bloodhound Project. This unique project is centred around the design and build of a supersonic car that will break the 1,000mph barrier and set a new world land speed record. 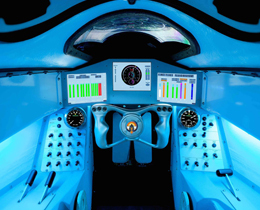 Bloodhound is a unique, high-technology project to design and build a car that will break the 1,000mph barrier and set a new world land speed record. 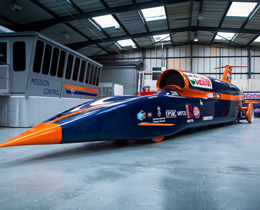 Designed and constructed in the UK, Bloodhound Supersonic Car (SSC) includes components and sponsorship from international companies and will make its world record attempt in South Africa. The Bloodhound Project a true international engineering adventure with a growing global audience following its every move. Aside from the world record attempt, its primary aim is to inspire the next generation about science, technology, engineering and mathematics. It is hoped it will also promote and re-ignite a new passion in engineering again in the UK. The Bloodhound Project team consists of some of the world’s most revered engineering talent, led by Richard Noble; all involved have been hand picked to ensure Bloodhound SSC is a global success and helps foster new talent and partnerships. N&B Engineering was recommended to the Bloodhound Team in April 2013 by one of our existing customers and our involvement has steadily increased. 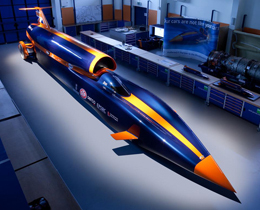 To power Bloodhound SSC on its planned world record attempt, an RAF Typhoon gas turbine engine will initially take it up to 450mph and then a powerful rocket engine will ignite to take the car to 1000mph in 40 seconds! To date, we have been involved in engineering one of the ignition parts for the rocket fuel pump. Once the car has hit 1000mph it needs to slow quickly and safely. To do this the car has various sets of air braking systems and then a parachute. We have engineered part of the parachute deployment system. 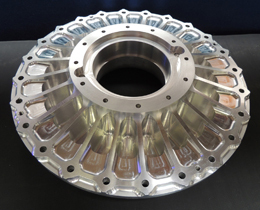 Whilst Bloodhound SSC pilot driver Andy Green is travelling at 1000mph his feet will be on pedals that we machined. We will post more news on the project's progress and our engineering involvement as soon as we have it.